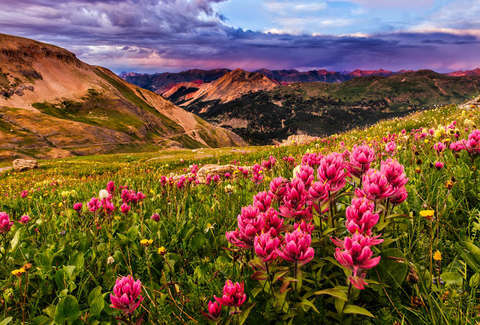 From Pikes Peak and Vail’s snow-capped mountains, to Peyton Manning’s perfect spiral, there are a lot of lovely things to celebrate in our state. Spend some time getting back out there, relaxing, and exploring why we all fell in love with CO to begin with. While the options are endless, these 13 stunning spots you might not have even known existed are a great starting point. 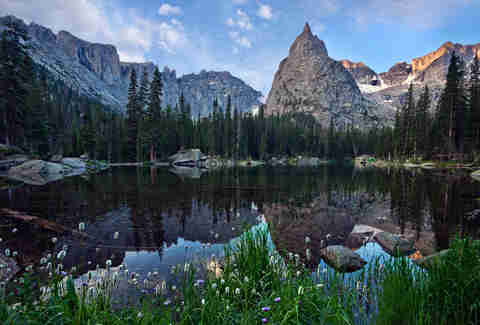 This national park is a popular destination, but it’s filled with hidden gems for those willing to throw on hiking shoes and venture beyond the views found along the much-traveled Trail Ridge Rd (aka the highest continuous motorway in the United States). 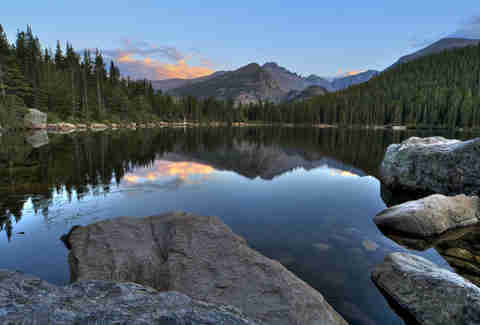 The Bear Lake Loop is an easily accessible 0.8-mile trail that’s ideal for hiking newbies and those easing into the high altitude, but still offers stunning views of this serene alpine lake, as well as Half Mountain and Longs Peak looming behind it. Red Rocks Park and Garden of the Gods may be the state’s best-known destinations for exploring impressive red sandstone outcroppings, but this state park right outside of Denver isn’t messing around when it comes to impressive views. And as the home to a number of native species, including black bears, foxes, mule deer, and golden eagles, you’re likely to spot some wildlife while you’re taking in the scenery. 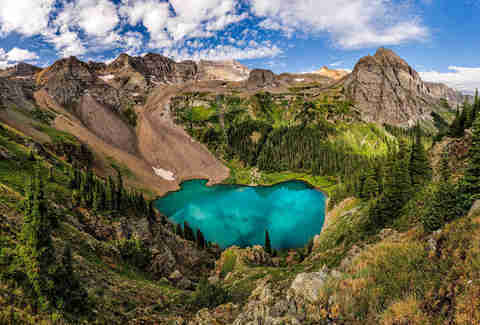 You could basically head down any trail in the San Juan Mountains and be rewarded with ridiculously beautiful scenery, but this series of three turquoise-hued lakes tucked into the high country may be the best. It’s a strenuous 11-mile round-trip hike to see all three lakes, but the hard part is leaving once you’ve seen this tranquil spot in person. 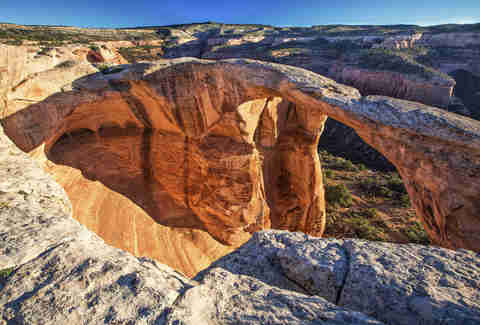 No need to head to Utah to see natural arches. Colorado’s got those too. Head to the Western border of the state where you’ll find a high desert landscape filled with canyons, spires, and arches. For the best views of the nation’s second-largest concentration of natural arches, take the Rattlesnake Canyon Arches Trail -- the hike is tricky, so it’s not recommended for inexperienced hikers, but views like this have to be earned. Okay, so you know they exist, but this part of the state is definitely not a tourist destination. 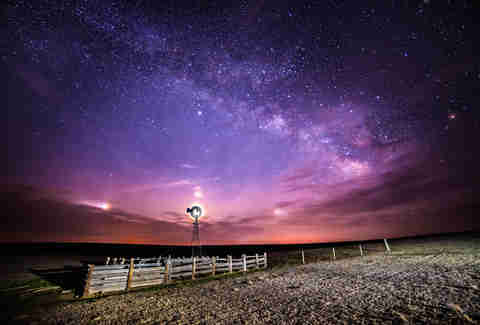 Even those that have spent their whole lives in Colorado rarely give the expansive plains much love... or a second thought. But they've got a beauty all their own, especially at night. In the mountains, stargazing is often hindered by clouds, but out on the open plains away from the city lights, you’ll get to take in amazing nightscapes in peaceful solitude. This isn’t one of Colorado’s famous 14’ers, but it offers climbers one of the state’s biggest challenges thanks to steep slopes and a summit so narrow only one person at a time can go up. For those who’d rather appreciate the peak’s dramatic presence from afar, though, the hike to Mirror Lake makes for an unforgettable backpacking adventure. Not enough snow for snowboarding yet? 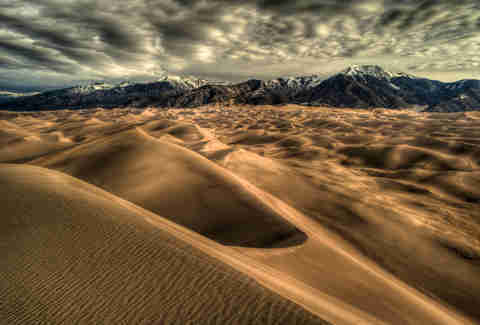 No worries, just try sandboarding instead at this national park that’s home to North America’s tallest dunes. 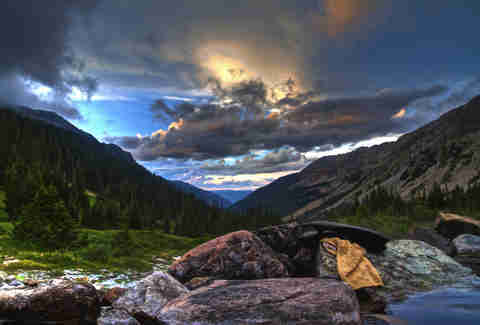 Backed by the impressive peaks of the Sangre de Cristo Range, the area looks otherworldly, but it’s all Colorado. Looking for a challenge? Head out early to avoid the midday heat and take the five-hour round-trip hike to climb Star Dune, the tallest dune in the park. 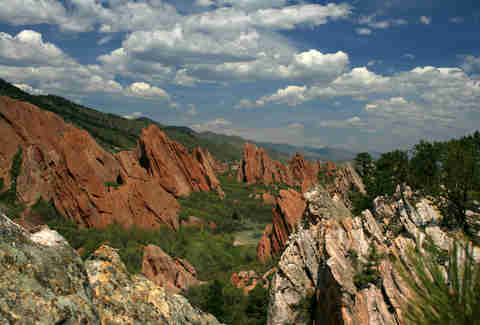 Pikes Peak is a 14,115ft-tall mountain that looms over Downtown Colorado Springs, so it’s not exactly hidden. 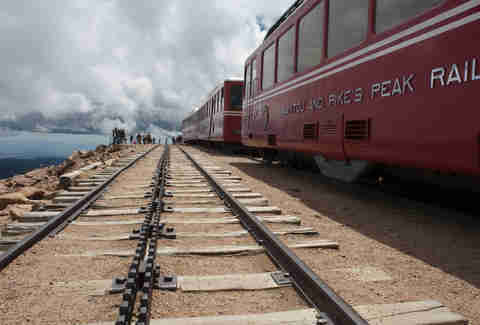 But did you know you can take a ride all the way to the summit on the world’s highest cog train? 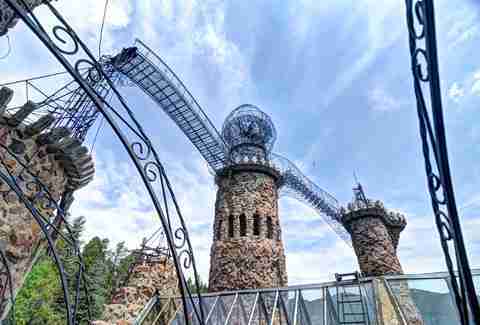 It’s an easy way to experience Colorado's other favorite way to get high, plus it’s the same rail trip that inspired the song “America the Beautiful” so you know you’re in for some iconic views. Sure, you probably knew about this place already, and why not? People have been coming here since 7,500 BCE. (And you thought complaining about people moving to Colorado was just a 2015 thing.) 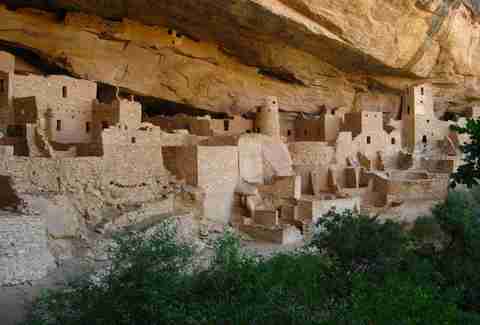 At this national park, there are 4,000 sites and 600 cliff dwellings where people lived up until 1265, and while most visitors head to Cliff Palace, the smart move is to go against the crowd, and try the lesser-known but just as striking sights at Wetherill Mesa. The gold rush may be long over in Colorado, but in the fall, another kind of gold takes over and drives people to the hills. 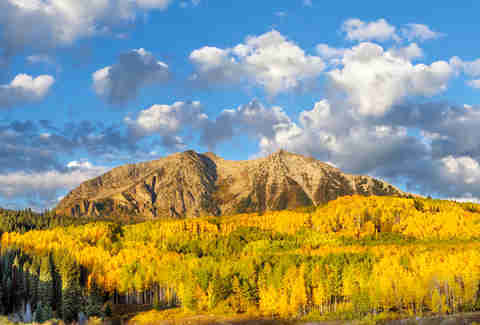 From mid-September until mid-October, Colorado’s aspens paint the mountains in rich hues making it basically mandatory to take a drive and experience it firsthand. For the most impressive sights, Kebler Pass is the place to go. The drive gives you 30 miles of mountain vistas with plenty of places to stop along the way to take photos of the postcard-worthy views. This destination isn’t a traditional beauty. It’s odd and mysterious, yet entirely irresistible. It’s tough to not stare when you first encounter this sprawling project which began in 1969 and continues to expand today. It’s owner and sole builder, Jim Bishop, is wel -known as an opinionated (and yes, potentially offensive) man, but despite a recent battle with cancer and an ongoing legal battle over the property rights, he can still be found there daily, making additions. Visitors can explore a slew of the building’s quirky features -- just make sure you watch your step on the bridge to nowhere. Though it’s recently become a better-known destination, this secluded hot springs 8.5 miles into the White River National Forest still offers an experience like no other. The hike itself is a challenge, but what better way is there to relax after a long day than a hot soak at 11,000ft? Nothing in Colorado will make you feel smaller than standing on top of the state’s tallest mountains. Wanna get that sensation without actually hiking up rocky slopes? 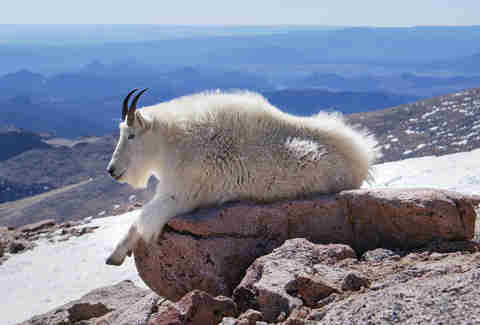 This is the highest paved road in North America, and a drive to the top will get you views of almost the entire state. And if you’re into spotting wildlife, you’re almost guaranteed to see bighorn sheep, mountain goats, and marmots along the way. Molly Martin is a Denver-based freelance writer who loves that Conundrum Hot Springs is bathing suit optional. Follow @mollydbu on Instagram and Twitter.